There was some bad news for Cari and I when we met with the principal at school this morning. Apparently the PTO has no control over curriculum at school, so we can’t actually have the girls all take hip hop dance instead of math, as we had planned. Also, we have no say in the hiring and firing of teachers. Mrs.Meloni must be feeling pretty lucky right about now. But I like to always look at the positive in every situation, and we can suggest new clubs and activities for the kids, so I already have started a list. The Kardashianistas: In this club the children can study the Kardashian family and practice makeup tricks, wearing the latest fashion trends and self-promotion. Selfie Club: The students can learn about the best angles and poses for selfies and then photoshop them before posting on insta. Great for their self-esteem. Runway Club: The kids will study Tyra Banks and practice fierce runway walks. Hair and Makeup Club: Less popular children can do the hair and makeup for the popular girls and get to hang out with them for a bit. Games! Games! Games! : In this club the ugly kids can play with board games donated by their more attractive classmates. Jenga January will be a big hit! Recycling Club: The earnest weirdos need something to do, so with this club they can sort through the cafeteria garbage to make sure no plastic water bottles make their way to a landfill. Diet and Exercise Club: The name says it all. Ninety minutes of intense activity followed by a criticism of the food journals everyone will be keeping. I have more, but that is just an idea. I am sure the principal will be thrilled to have our help this year. I also mentioned to Starling that she might be getting a little bit freckly and she started carrying a parasol at all times. She is such a delight! Unlike Karen, Starling cares about sun damage. 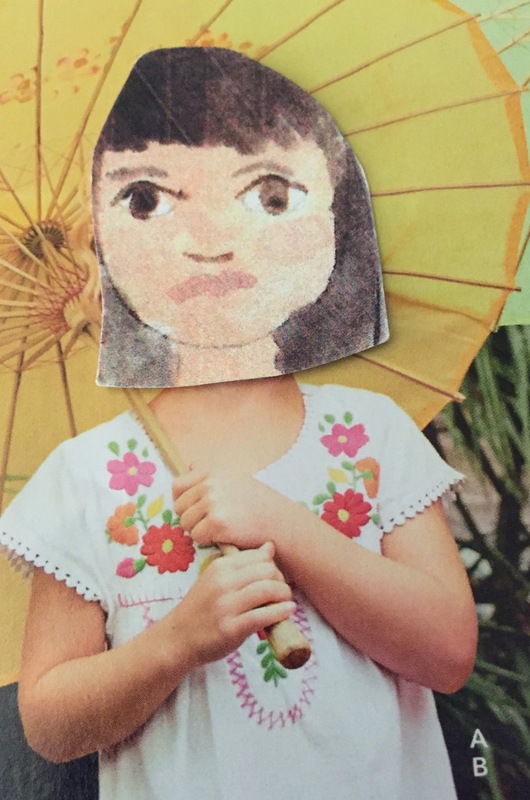 This entry was posted in School and tagged Cari, clubs, freckles, parasol, Starling on August 14, 2015 by mythreeangles. That school is so lucky to have you and Cari! Thanks. It is a shame how many moms are unwilling to do their part. I bet once they see how effective you and Cari are with your clubs, the school administrators will be more than happy to hear your ideas on curriculum and staff. I think it speaks so well of you that you are taking into consideration the fat, ugly weirdos when really, they should probably be taught in a separate school. Fat Alice’s mom will probably be thanking you profusely when you slim that little porker down! We really want to make sure all of the children’s needs are met, even the unattractive ones. What a great idea! How about a healthy recipes club? I have this really great one where you replace a hot dog with a carrot. I can send you a link to the recipe on my blog if you need it. Great idea Meghaine. I have a lot of wonderful recipes on Pinterest too. Those ideas all sound great Lah Lee, but I’m a little worried that Starving is over-hydrating spending so much time outside. She looks like maybe she is retaining a little bit of fluid. Whenever I start to look a little puffy I find that just adding some tosbasco sauce to my water helps me cut down. It’s like tomato water but less calories. Also, have you thought about overseeing a club for the pretty and popular girls to start their own blog? You have such talent at what you do I am sure you can teach them volumes! We thought about one where they can work on all of their social media platforms. Passive aggressive tweeting is so funny and Krystyn is amazing at it. Yesterday she tweeted “I think it’s funny how you care so much when I could not care less.” Epic! Lah Lee, I just love your ideas. There is just one club that I wouldn’t be able to get behind. That is, of course, The hair and makeup club – Why put the fugly girls in charge of the the pretty, popular girls appearances? Do you think that Fat Alice would know how to contour lovely Starlings cheekbones? Match lipstick to her skintone? How to apply fake tan evenly since Starling is carrying that parasol around? I’m also concerned that you are actively inviting the ugly girls to hang out with the popular ones. In my opinion, total segregation is the only way. You’re such a good Mama thinking of Merlin too. I’m sure he will enjoy playing with all the donation in the games club. Do you think Merlin is ugly? That is kind of a harsh thing to say to his mom, don’t you think? Especially online where he can see it. I think it will break his heart to see that people are calling him ugly on his mom’s blog, but you do you. They already have a D&D club and the debating thing that Merlin participates in. Total segregation is the only way to keep everything fair for everyone. Separate but equal! I always say. Have you and Cari ever considered opening your own school? You could hire people to run it, as well as excellent teachers! That way no once can veto your amazing ideas! I would totally send my kids to a school like that. I would be great at it too. I have no time with my busy blogging career, tho. What about hosting a “back to school” dinner for all the pretty girls in school? Everyone could wear white and you could put flowers in their hair. If you could find a table in the woods, with some lanterns, it would be just magical. If you can’t manage to arrange an outdoor location, you could just serve it in the school gym but use essential oils to create an aromatherapy experience similar to being in the woods! That sounds wonderful, but, as we learned last spring, the school is incredibly touchy about us only including the pretty and popular girls in special events. Remember the VIP area?